Bend Studio has today revealed the first trailer of the three-part Days Gone ‘World Series’, focusing on Farewell Wilderness, the expansive world that you will come to know. You’re not a tourist here, so sight-seeing is off the table, however with six different biomes players will find unique environments and dangerous enemies behind every corner. While we’re still waiting to see a full Days Gone map, this new trailer reminded us a lot of the harsh unforgiving Red Dead Redemption 2 landscapes, and from what we’ve seen of the map so far, we could be looking at a world that is just as big and probably more involving. Travelling the abandoned highways of the Farewell Wilderness is deadly. You’ll pass through thick forests of ponderosa and pine (filled with wolves), venture into naturally formed lava tube caves (filled with Freakers), and ride up steep trails to snow-covered peaks offering spectacular vistas (mind the Marauders – and Freakers — and cougars). Riding the broken roads through Days Gone offers landscapes that change quickly and dramatically, a living, breathing world – filled with things trying to kill you. The breathtaking natural beauty of Oregon’s High Desert, scarred by ancient volcanic activity, shaped in modern times by a dubious history of mining and logging, has long been a recreational area for outdoor enthusiasts who love to hike, camp, fish and backpack. Also revealed was details about the Special Edition and Collectors Edition of Days Gone. 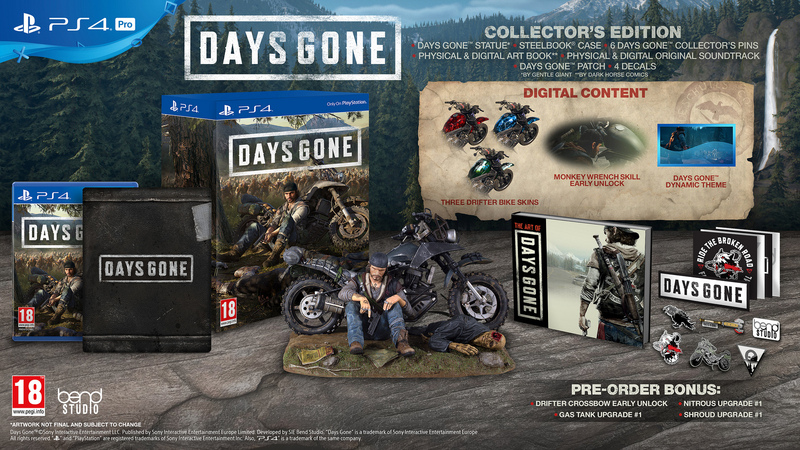 Fans will enjoy early unlocks such as the Monkey Wrench and Drifter Crossbow, as well as skins, and a physical and digital soundtrack in both editions, and players who purchase the collectors edition will receive some decals and a patch, as well as a Days Gone statue featuring the protagonist and his motorbike. Rocket Chainsaw has been following Days Gone since its reveal in 2016, and you can read more about here, here and here. Also make sure to check out our hands-on impressions of Days Gone from PAX 2018. 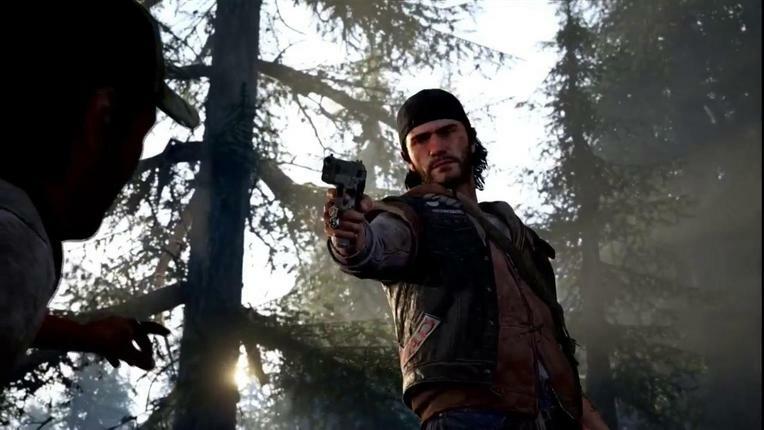 Days Gone is launching exclusively on PlayStation 4 on April 26, 2019. 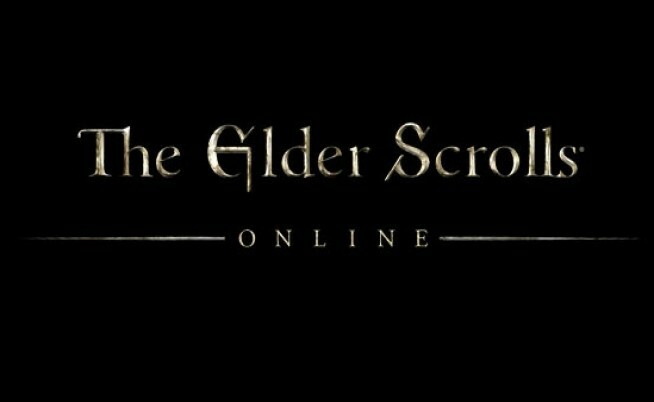 For more information head to the official Days Gone website here.